Personal branding isn't just for college students angling to enter the workforce. Rather, personal branding is a lifelong effort, one that's constantly evolving and requires regular maintenance. Our individual brands define who we are in the workforce -- they guide our career paths and have an indelible impact on our financial future. In short, they're one of the most important aspects of professional life. Although it may seem that brands "just happen," building brand equity is not an overnight process. Personal branding should start early, allowing the brand to grow and strengthen over time. The ideal time to start is high school. Teens should identify and hone their strengths and interests -- a clear, powerful brand can land a student at a top college and entice prospective employers. Personal branding is also about standing out. More than 200,000 high school seniors graduated with a 4.0 GPA last year. Nearly 3,000 students scored 2200-plus on the SAT, and Harvard rejected 200 applicants who boasted a perfect 2400 score. When a Fortune 500 company posts an entry level job opening, thousands of applications pour in. While many applicants will be unqualified, there will be a substantial number that satisfy the job requirements. In a sea of sameness, the need to develop a strong point of difference to progress to the next round is non-negotiable. So, how are students standing out from the crowd? A growing number of high schools and colleges offer career management courses that embrace personal branding. Consider, for example, North Broward Prep in Florida, which requires one trimester of Personal Branding. Similarly, institutions of higher education, such as Pace University and Boston University, integrate personal branding into their curriculum. Now more than ever, this age group has to counteract fierce competition with a stand-out brand and ensure their digital footprint is positive and consistent. Now, let's examine the other end of the professional timeline. Working beyond retirement has become the norm. In the U.S., about 10,000 people retire every day, which translates to nearly 4 million people annually. But instead of retiring to Florida or the golf course, many baby boomers opt to reinvent themselves and enjoy more productive years. In an article inked by Randall Hansen, Ph.D., author and founder of Quintessential Careers, he notes: "For many, retirement will indeed no longer signal the end of working, but more so a career and lifestyle transition where the retiree has multiple options -- such as continuing to work, returning to school for additional training or education, changing careers, venturing into entrepreneurship, becoming more involved in volunteer work, or simply enjoying leisure and travel possibilities." 1. Strong brands are intentional. Start by defining yourself. Determine what you do well, what you love to do, and your identity and vision. Then own it. This all starts with a self-audit to pinpoint your purpose, strengths, values and passion. It's essential to crystallize your uniqueness -- or, competitive advantage -- and why you're a worthy investment. Equally important is understanding your audience: what they need, how they function and what drives them to take action. 2. Have an answer to "what's in it for me?" Why should your target audience employ you? What's your value? What makes you stand out from the host of other applicants? You need to stress your value and strengths. But, avoid tailoring your brand too much to the audience. Make your brand about you first. 3. Know how to work a room. Networking is face-to-face marketing. Don't focus on how many people you meet networking -- focus on meeting the right people. Building relationships is the core of effective networking. 4. Stay on brand. Maintain a consistent voice across different channels. Ensure your LinkedIn, Twitter and other profiles are up-to-date and in harmony. 5. Be self-aware. Always seek feedback. Ensure your brand is not only clearly articulated, but also that you know how to deliver on your brand and make it grow. 6. Create a powerful online presence. Reputation management is key. The digital footprint one leaves across the Internet is the encapsulation of his/her personal brand. 7. Have a multi-channel approach. Your toolkit should include, but not be limited, to: LinkedIn, blogging, volunteer work and speaking at industry conferences. Consider all touch points, like e-mail, cell phones and mailed greetings. To stand out, develop a resume with keywords and customized infographics, along with powerful business cards and head shots. And create and share content that will position you as a thought leader. 8. Deliver on your promise. Remember: you are the product. Gauge your brand behavior and ensure you return phone calls and emails promptly. Not delivering on promises can wreak havoc on the integrity of your personal brand. Now you're ready to develop your own compelling narrative and competitive advantage. And don't forget to hone it relentlessly. 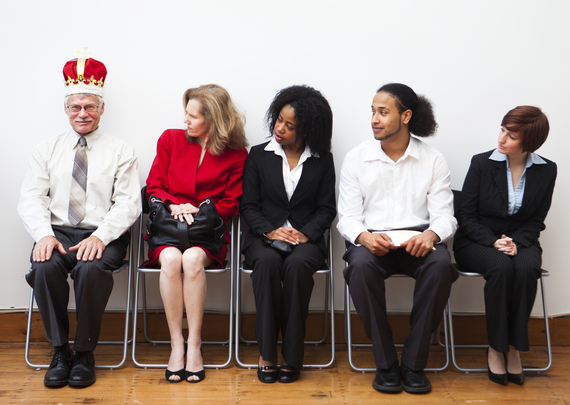 No matter your age or career trajectory, your personal brand has to be fit for a king.